Whiting, Ind. 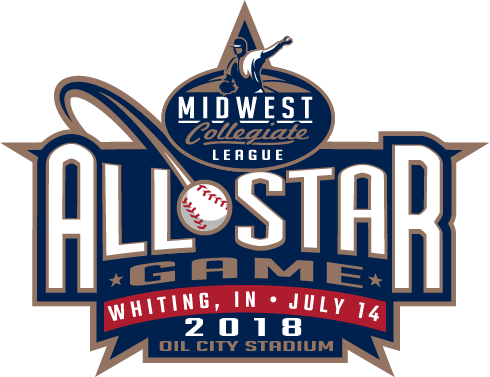 – July 7, 2018 – The Northwest Indiana Oilmen offense was in business throughout the evening on Saturday at Oil City Stadium, but several opportunities slipped away in an eventual defeat to the Joliet Generals. The game’s big blow came in the top of the seventh, when Christian Howell (Trinity Christian / Aurora) left with two outs and two on with the Oilmen clinging to a 3-2 lead. Manager Adam Enright inserted a left-handed reliever, who yielded a three-run homer to left-handed batting Brett Stratinsky, the first batter following Howell’s exit. The go-ahead blow put Joliet on top 5-3, a lead they wouldn’t relinquish. Since he was charged with two of the runs on the three-run homer, Howell was hit with a tough-luck loss, dropping to 4-1 after allowing four runs on six hits while striking out five and walking three in 6 2/3 innings. The Oilmen (17-14) had grabbed the lead on an RBI single by Eric Yachinich (Minnesota Duluth / Ashland, Wis.) in the third. When Joliet (10-15) tied it with a run in the fifth, the Oilmen responded to regain the advantage with two in the bottom of the inning. Yachinich drove in another with a bases-loaded walk, then Tom Kelley (Miami of Ohio / Orland Park, Ill.) added an RBI single. The game went haywire late as the Oilmen had several key opportunities that were hindered by outs on the base paths. The offense continued to thrive as the Oilmen pounded out 12 hits. 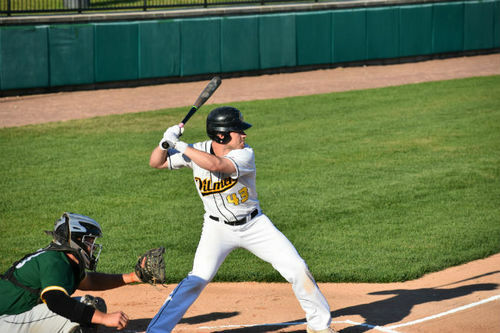 The Oilmen’s best chance to grab the lead late came in the eighth inning, when they left the bases loaded. Joliet tacked on three insurance runs in the top of the ninth to account for the final margin. Brenden Butler (Upper Iowa / Oak Lawn, Ill.) had three hits, while Kelley and Cory Krolikowski (Minnesota Duluth / Bartlett, Ill.) chipped in two apiece. The Oilmen will be back in action on Sunday at 1 p.m. when they host the Bloomington Bobcats for a doubleheader. Tickets can be purchased on NWIOilmen.com. The games will be available on the Oilmen Broadcasting Network via Facebook Live with Brandon Vickrey and Dan Harty on the call.